A lot of on site and online stores offer plenty of dining tables for sale. Shopping at sales, in general, can be a nice opportunity to save a bundle. Yet, it is also associated with several risks and limitations. Fortunately, every problem can be solved and a lot of shopping ‘reefs’ can be avoided if you take your time and keep your head clear. So, pay attention to some benefits and limitations associated with buying dining tables for sale, and – especially, tips that will help you choose the right model. Possible to find high quality solutions at low cost – this is the first and the most obvious benefit of looking for dining tables for sale. Even though a lot of stores offer discounts all through the year, a lot of seasonal sales can offer you a chance to buy items at half their initial cost. A chance to buy luxurious tables you would not have been able to afford otherwise – quite often, even luxurious designer furniture that normally costs a fortune is available for sale. 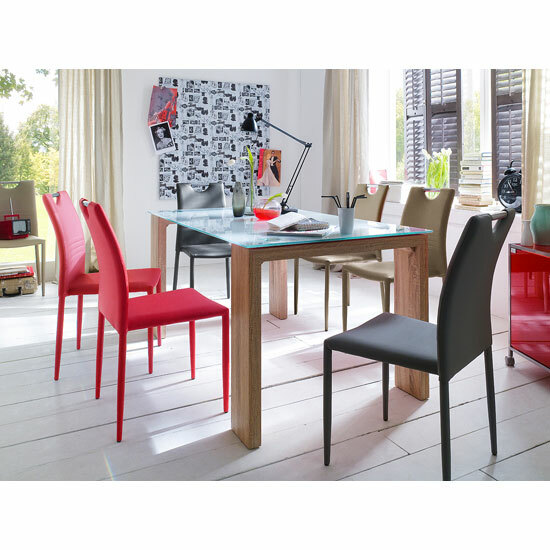 This is a great chance to buy very solid, very impressive dining tables that are generally outside your budget limits. The choice of models may be limited – unfortunately, many dining tables for sale will feature the same design and will be made of the same materials. All in all, even though it is possible to find very unusual, very stylish models in theory, the actual selection in stores may be very limited. The quality may appear lower than it seems – there is always a risk of buying a lower quality model, especially if you shop online. It is very easy to conceal some blemishes, and sometimes, pretty pictures are not reliable indicators of the furniture actual quality. The prices are not always low – sometimes, stores feature sales as promotional events; the prices, at the same time, may remain high. Shop in big stores – if you would like to have a lot of options to choose from, try shopping in big stores. Their selection is generally bigger, and for sale items are not exceptional. Carefully read product descriptions – even though it is possible to hide a lot furniture drawbacks with the help of basic Photoshop skills, online platforms usually post product descriptions, too. The latter ones are generally very specific, and if you carefully analyze this information, you will be able to see the difference between a lower and a higher quality model. Do some market research before buying – to make sure that the price featured on sale is really low, you should do some market research before buying. Sometimes, you will see similar models of higher quality with not much difference in price. Visit showrooms, if possible – if you are about to make an important investment into your dining room interior, it is really advisable to visit a showroom and check out the piece personally – if it is possible, of course. In the UK, one of the few stores that can offer you a chance to visit their showroom is Furniture in Fashion .